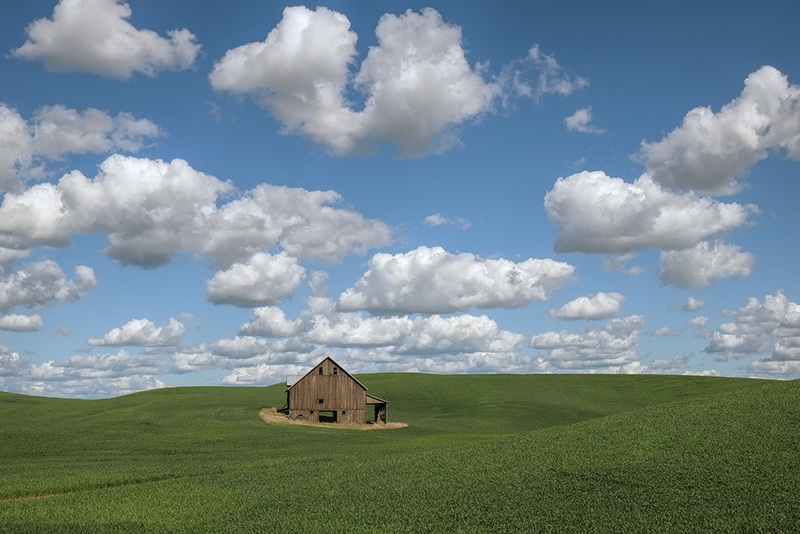 As luck would have it, this is what the sky looked as we arrived in the Palouse to begin our tour scouting today. On our way to Colfax from the airport, we pulled off the main road and headed towards a familiar barn. We just wanted something to add to the tremendous sky! The forecast looks very promising for the week ahead which is always a relief. So excited to be back in the Palouse. We’ve been here so many times, it really is starting to feel like home. The image is a jpeg straight out of my Fuji X-E1, handheld. Added Topaz Clarity and that was it. Welcome to Washington JB! I’ll take this image as an omen for a great trip. Beautiful shot, John. One that proves the point that less is often more. You and Stephen Sondheim would make a good pair. The moment I looked at this beautiful shot, the lyrics from West Side Story started playing in my mind, i.e. ” Peace and quiet, and open air, wait for us….somewhere.” Slainte! Great Bruce, now I’m singing that all darn day…!! Great simple image. I bet it would also make a great B&W. Have a good trip! Such a magical place…perfectly captured! It doesn’t get any better than that! Makes me want to step into the image. Can’t wait to see more. Just started using Clarity on some images I shot for North West Jersey Horse Show Assn.- I was amazed, it cut down my processing tremendously.